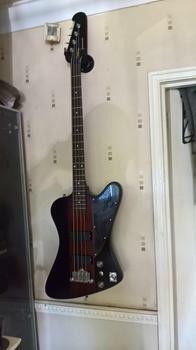 I'm playing in a metal band and I plan to buy a new bass which I'll play for a long time. 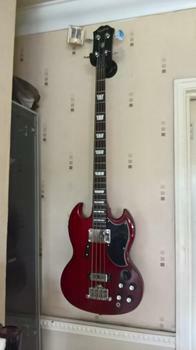 So I need to be 100% sure which bass I should buy. I have to choose between a “Jackson JS3 Q Kelly Bird TBB” and a “Sterling by Music Man S.U.B. Stingray 4 BK”. Both are more or less the same price. What is your opinion on my choice? Can you recommend me other good basses with similar pick-ups? 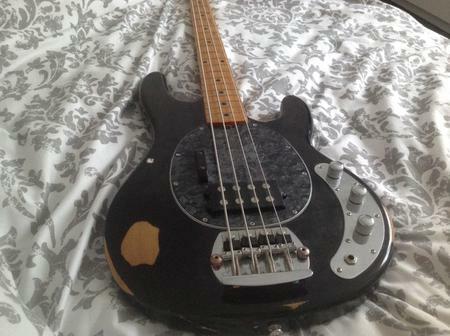 @Marko1960 thank you for your advice on Ibanez Basses. I will definitely try some affordable models. I thought about an Epiphone Thunderbird Pro already but I've heard that they are pretty heavy and it's really exhausting to play with Thunderbirds in general. Do you had these kind of problems? Heavy is relative - you may not find the weight of the Thunderbird to be an issue. They only way to know if it would suit you would be to try one out. Ultimately it's whatever bass you like best. Feel, sound, sexiness… so subjective. That being said, my practical side would lean towards the MusicMan because of its versatility. You may not always want to play metal. I don't know, maybe you do. But don't trust important matters like this to anonymous internet people. We could be sociopaths steering you completely wrong. @mr zeeI thought about an Epiphone Thunderbird Pro already but I've heard that they are pretty heavy and it's really exhausting to play with Thunderbirds in general. Do you had these kind of problems?